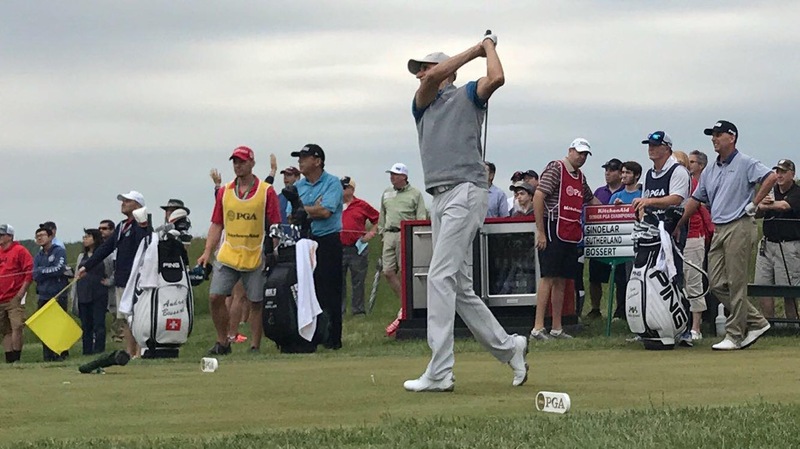 Spent the last few days caddying for Andre Bossert at the Senior PGA Championship. Here Andre tees off while myself, Joey Sindelar, and Kevin Sutherland look on. 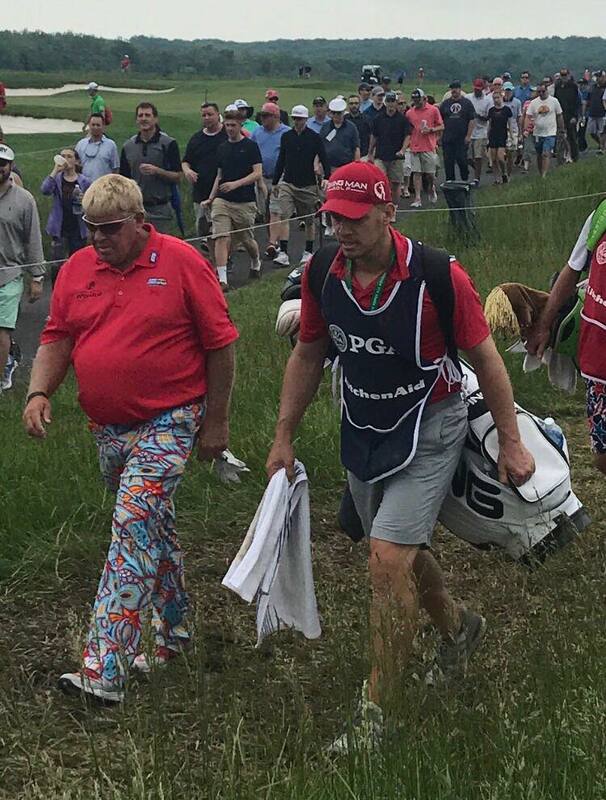 In the final round we were paired with John Daly.